Reader Adam E. and his co-workers decked the office with 8-bit jolly, dressing up their manager's cube to look like the castle at the end of Super Mario Bros. 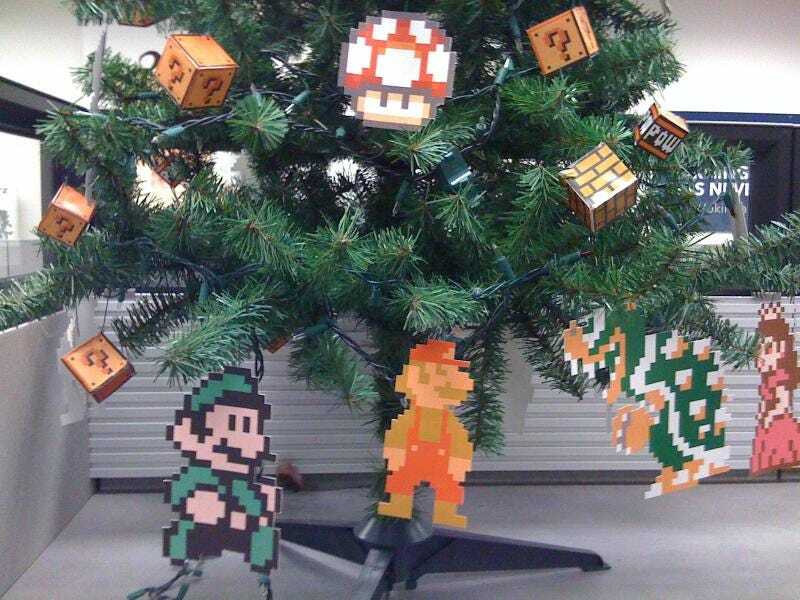 The company Christmas tree also got 8-bit sprite ornaments based on characters, enemies and powerups from Super Mario Bros 1 through 3 (though I do spy a Mega Man), winning Adam's crew the "most creative" prize by a country mile. Many more images, and a link to the full gallery, below.